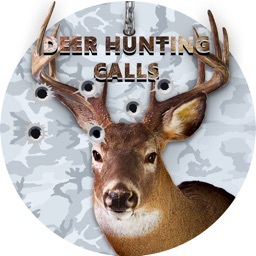 Deer Hunting Calls is designed specifically for deer hunters. 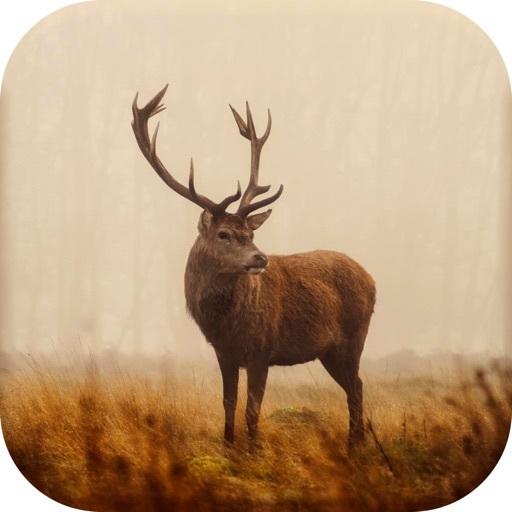 Join the elite league of predators and become one of the arcane legends by using calling tactics from variety of all deer calls. 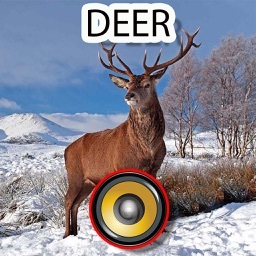 An ideal sounds partner for all novice & experienced deer hunters. 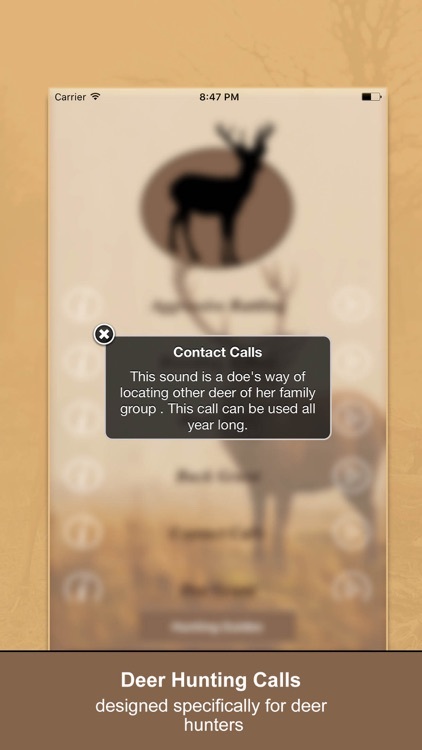 Select from range of contact calls, grunt calls, lost calls and mating calls etc. 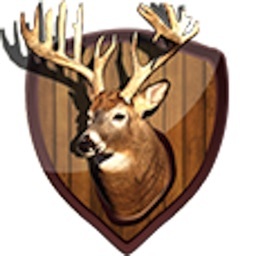 All sounds have been optimized for maximum volume and sound quality without distortion to provide an optimum deer hunting experience. 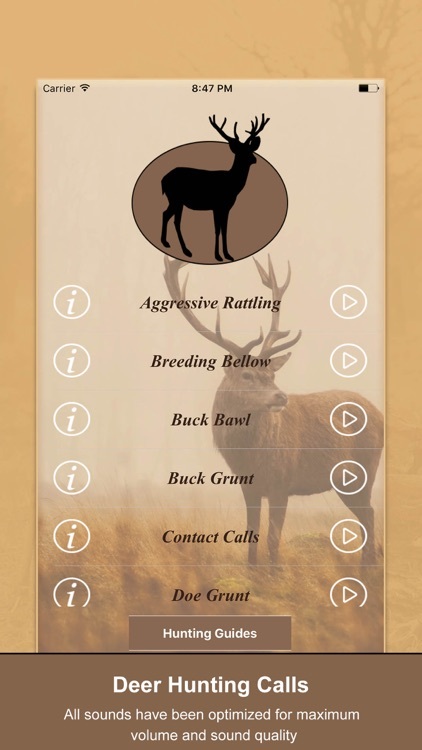 An on-screen quick reference guide is provided with each deer call with quick, easy to read instructions for each call's optimum frequency and time of use during pre-rut, rut, and post rut. 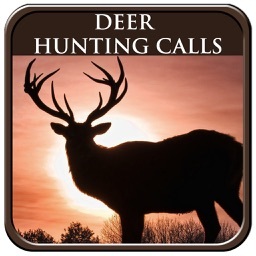 Novice or expert, the Deer Hunting Calls lets you make the right call at the right time, every time. • Huge selection of hunting sounds to choose from. • High quality calls with no audio noise. 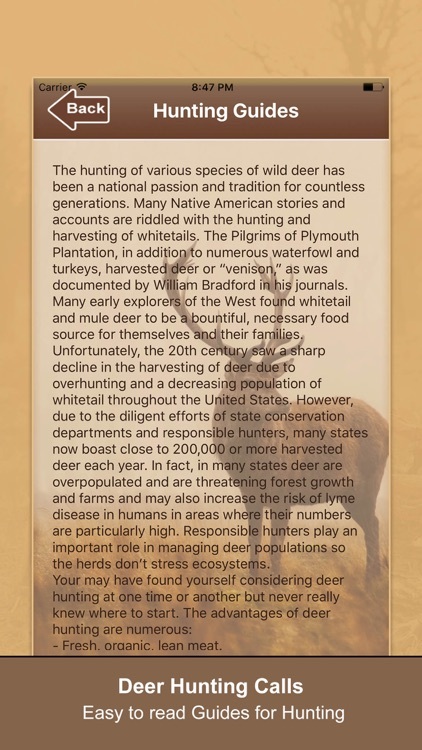 • Details of every deer. 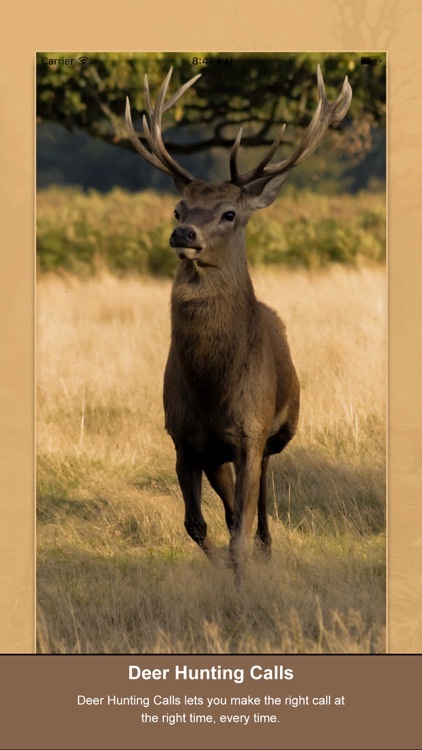 • Comprehensive tactics and training guide included.